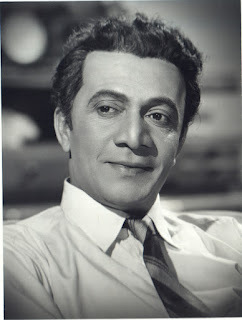 Raja Paranjape (Marathi: राजा परांजपे)(April 24, 1910 – February 9, 1979) was an Indian actor, director, producer and writer in the Marathi film and Hindi film industries. At the begining we must make it clear, this web site does not promote , nor intend to promote any kind of caste supremacy. We do not believe in caste system nor any kind of seggragation based on race, religion, color or beliefs, in fact we are strongly against it.Today the world is coming together as never before. The Customer is the King and performance is the mantra of success. In this age of secular and progressive thinking , one is lost in the performance driven global economy. People are migrating to far off lands and settling down. In this one-size-fits-all world, there is the need to find ones roots, the anchor that will steady the ship.In fact, we wish that many communities put informative web sites about their communities so that others are in a better position understand their culture. What we don't know we fear or hate. The best way to remove unwanted fears or hate is by providing knowledge. Knowledge is the power that will change the interaction amongst peoples across the world.Today, many of our own community members don't know about their roots, history and achievements. In order to improve, we feel the answers lie in the past i.e. history of any culture or community. Persons who ignore history are bound to commit same mistakes and injustices which were committed earlier. No community is without a dark past. We have to learn from the mistakes made by our ancestors, correct them and thus help our future generations live harmoniously with other peoples.